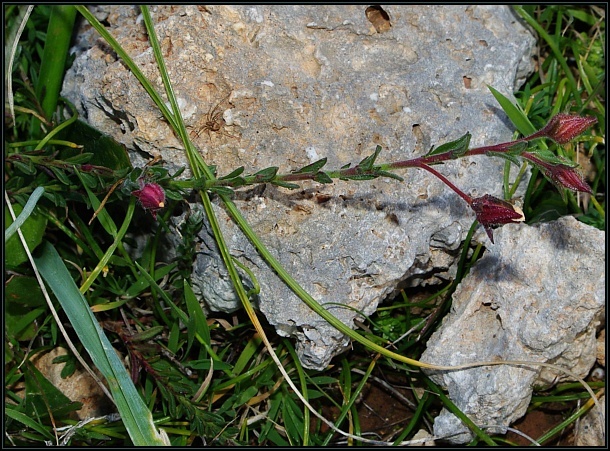 The Thyme Rock rose (Fumana thymifolia) is a small perennial shrub growing in rocky soils in the Mediterranean region. 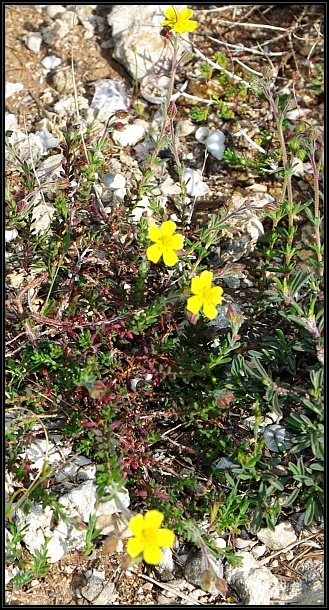 The flowers are yellow and 5-lobed whilst the leaves are thin resembling wild thyme. 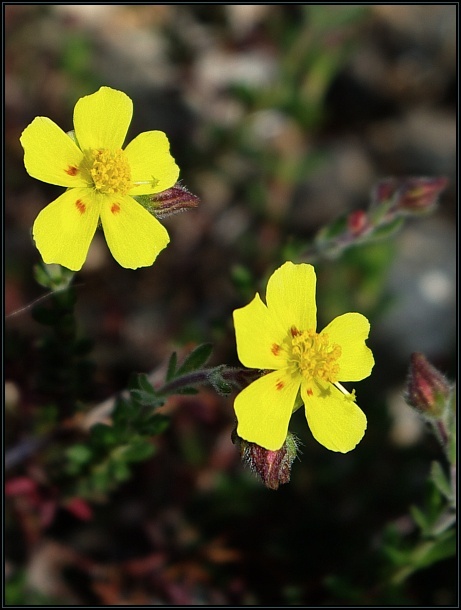 This species is fairly common in some areas.